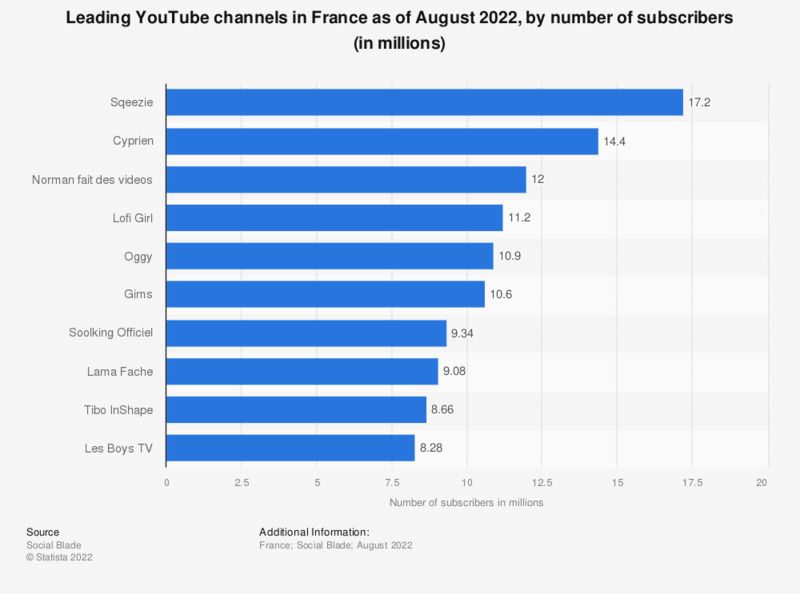 This statistic presents the ranking of YouTube comedy channels in France as of August 2017, by number of subscribers. Cyprien, with over eleven million followers, was the most subscribed French YouTube comedy channel in August 2017. He was followed by Norman (9.5 million subscribers) and Rémi Gaillard (6.4 million subscribers). Women: How interested are you in the topics of comedy or humor?